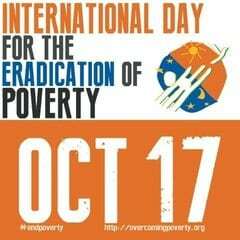 To mark the UN Day for the Eradication of Poverty on 17th October, Dublin Simon Community have launched an online video campaign to create awareness of homelessness. The UN International Day for the Eradication of Poverty is a day to express friendship and solidarity with people who have to live with poverty and social exclusion every day of the year, in Ireland, Europe and around the world. The UN theme for this year’s commemorations is “Moving from humiliation and exclusion to participation: Ending poverty in all its form. The video campaign shares the stories of Dublin Simon Community’s clients highlighting the importance of creating equal access to health and support services. Dublin Simon Community work to create supportive environments for people to overcome these barriers and move them out of homelessness for good. Speaking about the campaign the Simon Community said: “The experiences of homelessness and poverty can effect our clients self esteem and they can often feel excluded from accessing support services. Our staff and volunteers provide routes to primary care, addiction treatment, housing, clothing, housing advice and employment creating environments for equal access to whatever services clients need. Please visit the website below and support the campaign on Facebook, Twitter and Instagram using the hashtags #EndPoverty and #SupportSimon. Go to www.dubsimon.ie/SimonEndPoverty for further information on the campaign. The Department of Social Protection supports this project as part of its funding initiative for the UN Day for the Eradication of Poverty. You can view the videos on the Dublin Simon Community YouTube channel here.